There are certain things you can and can’t do in the hiring process. We’ve talked in the past about the discrimination question and how video interviewing is 100 percent compliant with EEOC regulations. However, there are still plenty of murky problem areas you’ll need to navigate while hiring. With more of our lives being lived online, social media has suddenly become a bigger part of both our everyday reality and hiring processes. Just like everything else, social media has its share of positives (getting to know candidates faster!) and negatives (did my candidate just post that?!) you need to weigh. Respecting social media privacy is important (more on that below), but this doesn’t mean you should avoid looking into what candidates are doing and saying online. If your candidate feels comfortable enough to tweet or update their status publicly, you should feel comfortable evaluating this digital footprint. Besides, you can feel safe with the knowledge you are in good company. Last year, a survey by Reppler found 91 percent of recruiters are using social media to research potential hires. It’s important to see how candidates are using their social media profiles. Good candidates will be using these online destinations as extensions of their personal brands and to enhance their candidacy. You’ll come away from their social profiles impressed by the way they communicate and comport themselves publicly. Bad candidates, on the other hand, will have social media profiles filled to the brim with unprofessional or irrelevant (“doing my laundry”) content. These can be inappropriate pictures, bad language or even just poor communication skills. These candidates realize you can see their actions on social media, but they’ve put no effort into making their profiles show them in a positive light. This bodes ill for their professional conduct and communication skills. There’s a difference between evaluating a candidate’s public social media account and asking a candidate for their social media password. If a candidate leaves their profile open, all the information contained within is fair game. However, if these profiles are closed, then you should respect the candidate’s privacy. Failing to do so can get you into hot water with the government. Due to a rash of employers asking applicants for social media passwords, several states have begun to pass laws against the practice. The newest state to enact legislation is California, where the state senate unanimously voted for a bill banning the practice of employers demanding online passwords. Video interviewing is a great way for employers to get a more personal feel for candidates earlier in the hiring process. Using a one-way video interview, employers can work an interview with a talented candidate into even the busiest schedule. Plus, video interviewing makes it simple to speak with far flung candidates. Just like screening a public social media profile, there is nothing intrinsically wrong or discriminatory about using video interviewing as a tool to hire great people. Online video doesn’t discriminate just because it’s just a technological tool. Unfortunately, people can hold discriminatory opinions and biases that can sneak into interviews. When hiring top talent, make sure to be careful of the questions you ask job seekers. It’s important to make sure all questions have a tie back to the job that will be performed and the skills necessary to complete tasks. Avoid asking unrelated questions about a candidate’s age, race, religion or disability status that have nothing to do with the job at hand. Online tools can make the hiring process much faster, easier and more cost efficient for companies looking to hire great candidates. These new frontiers, however, also come with their share of pitfalls employers can fall into if they’re not careful. Following best practices for video interviewing and utilizing social media can help companies steer clear of these problem areas and find the best people for the job. 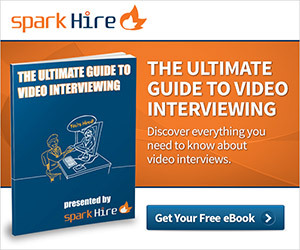 What are some of your do’s and don’ts for dealing with video interviewing and social media? Share in the comments!